Up to 80W, CIGPET ANT TC MOD is powered by a single interchangeable 18650 battery (not included). 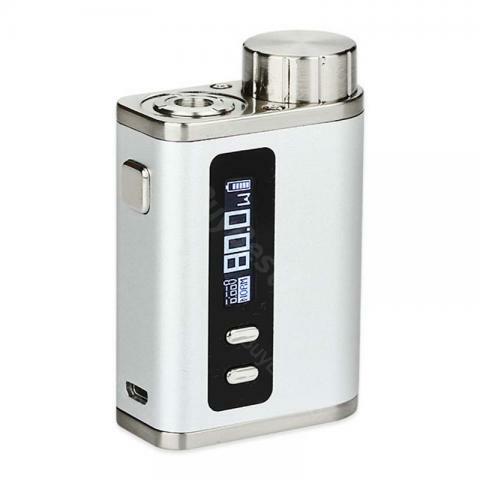 With it's upgradeable firmware, it will bring you the amazing vaping experience! Up to 80W, CIGPET ANT TC MOD is powered by a single interchangeable 18650 battery. With it's upgradeable firmware and innovative user mode, it will bring you the amazing vaping experience! • You need buy 18650 battery separately. Sehr schöne und hochwertig wirkende CIGPET ANT mit einfachem Schraub-Nachfüllsystem ohne Komplikationen. Got 80W CIGPET ANT TC MOD as a gift for a family member, the quality is great and the style is just as great.